In the week leading up to Black and White Day, the classrooms on Cowper were buzzing with black and white-themed activities. To begin the week, students used their artistic skill and creativity to fashion beautiful black and white blooms to decorate their Black and White Ball Gala invitations. 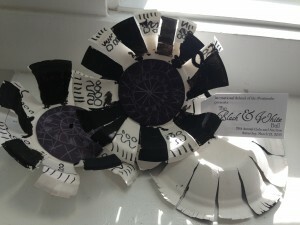 Each class did its own interpretation of a black and white flower, using different materials. In the Nursery classrooms, children wrapped white crêpe paper into the shape of a bloom and attached pipe cleaners for stems. 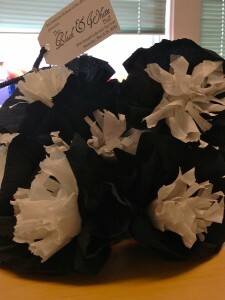 In Pre-Kindergarten classes, students used a combination of black and white crêpe paper to create voluminous blooms, and then used scissors to cut defined petals. In the Kindergarten classes, students used paper bowls as the base of their blooms. The activity also provided an opportunity for the Kindergarteners to practice writing and pattern recognition. Students decorated their bowls with bold black letters and patterns, transforming everyday objects into works of art. Hélèna and Vincent's Kindergarten Class Flowers. The black and white theme continued into our After School Enrichment activities. In the Nursery classroom, children used a black marker to draw ornate intersecting curvy lines and patterns. The Kindergarten and Pre-Kindergarten classes worked on creating black and white symmetrical patterns and shapes.It was very difficult for them to leave white space. Many of the children wanted to add color to their creations. As the projects took form the students began to be more comfortable with the idea of space on the page creating it's own patterns. Playing off the contrast between white light and black shadows, the Pre-Kindergarten students created their own shadow puppets with black construction paper and white pencils. After the puppets were completed, we staged our very own shadow puppet production. 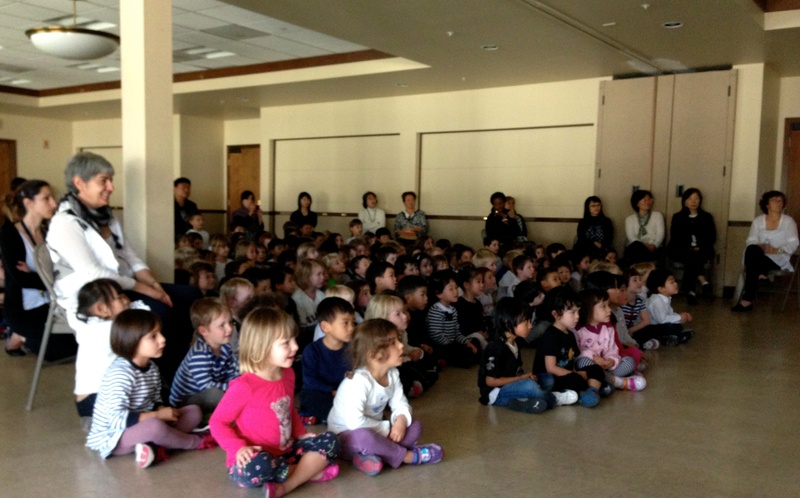 Student’s imaginations ran wild with stories of pigs, unicorns, fair ladies, knights and mermaids. Friday finally came after much anticipation. Students came to school in sharp black and white attire, ranging from soccer uniforms to their Sunday best. In the afternoon, excited students were ushered into the social hall to experience a magical selection of Disney shorts in black and white. When the cartoons started, the social hall was filled with joyous laughter. Cowper children enjoy some Disney black and white shorts. Next, Alicia Garcia spoke to the students about the important job of presenting their flower-decorated Gala invitation to their parents. Then, students were whisked away to their own gala with our dance instructor Sol Doux-Oliveros, who taught them some fun dances. The social hall was full of enthusiastic students bogeying down! 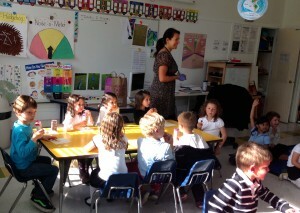 To end the day of festivities, students received a special black and white treat and juice back in their classrooms. 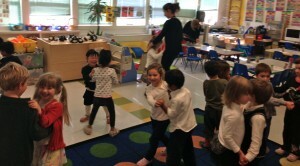 Cécile's Pre-Kindergarten class enjoy their snack followed by a waltz in the sprit of the Gala.